Toyota City, Japan, December 16, 2012—Lexus announces that the planned production run of 500 vehicles for the two-seat "LFA" sports car has been completed. The first LFA went into production at the LFA Workshop in December 2010. Since then, the cars were hand-crafted at a pace of one LFA per day. 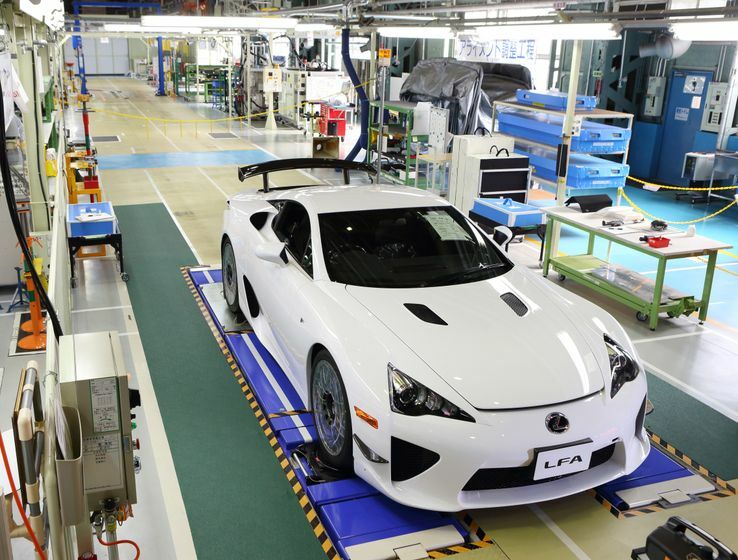 In addition to the LFA with standard specifications, the plant began producing the “LFA Nrburgring Package”, with specifications adapted towards circuit racing, from January 2012. 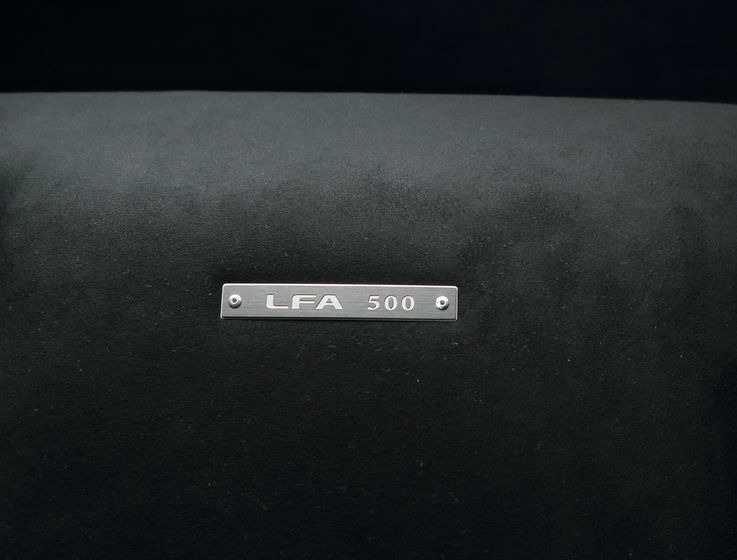 Having been completed at the plant on December 14, the 500th LFA will be delivered to the purchasing customer after undergoing inspection and road testing. Future Lexus vehicles will reflect the technological skills gained during the development and production of the LFA—in particular manufacturing know-how for carbon fiber reinforced plastic parts—as well as a philosophy of car design for delivering exhilarating and stimulating driving performance.